This unique nozzle is based on the popular Reverse Turbine nozzle, but has double the power. It was designed to increase the ability of the standard 21Lpm water jetter, clearing larger pipes without calling in a truck mount jetter. It will even go through a 100mm bend! 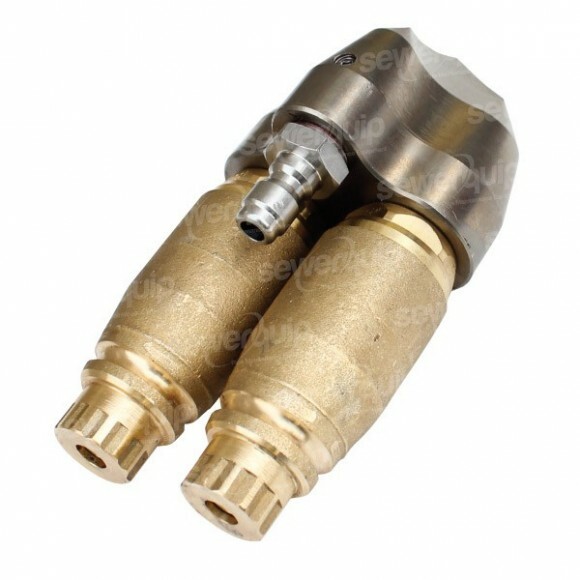 This high pressure nozzle can be jetter for larger machines up to 3/8" hose.